The Beer Café Launches ‘URBar’- a Bar on the Cloud! 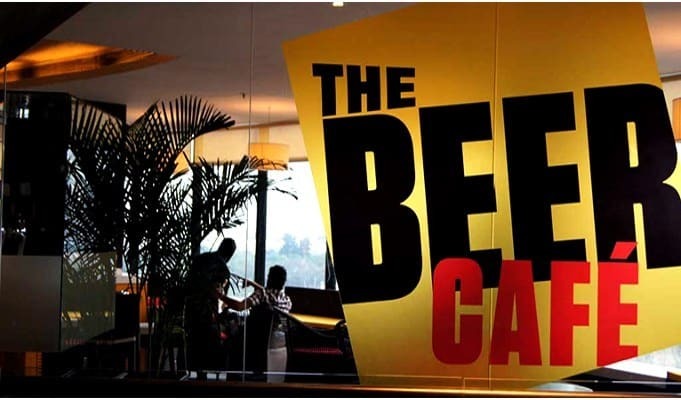 In a move that marks another impressive addition to its growing repertoire of tech offerings, The Beer Café- India’s largest alco-beverage chain, has launched ‘URBar’, a virtual bar which allows patrons to reserve and consume their favourite brands. One can explore from a wide selection of alco-beverage, pre-pay and stock them in ‘URBar’. The latest ‘wallet for your drinks’ initiative highlights the brand’s vision to redefine the alco-beverage space through technology differentiation and further strengthen its position as a pioneer. The way ‘URBar’ works is pretty straightforward. Log in to The Beer Café’s mobile app. Click on ‘URBar’ icon. Reserve in form of bottle (for spirits), keg (for draught beer), or case (for bottled beer). And start consuming. Easy, right? Not only patrons get a privilege to buy their favourite brands at a special price but also benefit from one price across the nation. One can choose any portion they wish to consume at any Beer Café outlet spread across 12 cities and save the latter for next outing. The bottle/keg purchased stands as a prepaid instrument and stock diminishes as the consumer opts to consume. What’s more, it also give patrons the option to spread the cheer around by ‘gifting’ customisable amounts of their reserved stock to friends, family and colleagues. Now that’s seriously taking spirits to another high! Your loved ones get notified when you share the tipple love with them! To relish the gift; one has to simply download the app and start consuming. Bottles of popular lbrands such as Old Monk, Bacardi White, Chivas Regal 12 Year, Johnnie Walker, Black Label, Smirnoff, and Absolut can be reserved, as can cases and kegs of premium beers such as Kingfisher, Bira 91, Foster’s, Heineken, Corona Extra, and Hoegaarden. Gear up for a spirited celebration on a new high as you carry ‘URBar’; your personal bar on cloud from The Beer Café on your phone! The much-loved brand has launched several unique and innovative digital offerings in past, enabling the most integrated and superlative beering experience for its customers across online and offline channels.Amongst the most prominent digital initiatives launched by The Beer Café is its mobile app, which enables devout beerholics to connect with friends, access the latest menu, locations and event listing updates from The Beer Café, and benefit from lucrative promotional offers. The brand also allows its patrons to earn redeemable points through the app with ‘Brew Miles’, its distinctive customer loyalty program which is designed to reward loyal customers with points for each rupee spent and redeem it against a range of offers. The brand recently launched Beermore Cards, a form of prepaid debit card that can be bought and used across all its outlets. And this isn’t even the best thing about owning a Beermore Card. What makes the offering really special is the fact that The Beer Café will provide additional top-up value of up to INR 15,000 – over and above the card value added by the user – making it just perfect for party-lovers who like to regularly host large, lavish, beerilicious parties! The card ease the hassle of ordering drinks in peak hours and is a style statement in itself! Another key offering by The Beer Café is the Beery Important Person (BIP) program. Customers enrolling in the program gain access to physical BIP cards, which can then be used to get spectacular discounts depending on the card’s ‘level’. The discounts range from 10% to 50% on the total bill, making BIP a blockbuster offering set to delight passionate beerophiles. Living up to the legacy of innovation, the chain also launched India’s first PYOB (Pour Your Own Beer) at Saket and Biggie, CP in Delhi this year. The PYOB wall provides the beer lover a unique interactive experience which will soon trickle to the length and breadth of the country. Quirky step by step instructions guide through this one of a kind pour ritual. Scan the unique code residing in the app, top up your balance and feel free to sample as little or as much as you wish. Become a brew master with customized blends; mix wheat, pilsners, lagers or stouts and make your own magic potion. For those who like it slow, fill just half a mug and come back for more, later. Being your own ‘pourtender’ comes with the benefit of no service charge on the invoice too. Now aren’t you spoilt for choice to spend that money you just saved? For there is not a few but 16 varieties to sip and savor! With so much already on offer and more yet to come, The Beer Café is definitely leaving no stone unturned to provide the ultimate social drinking experience, be it in the real or the virtual world! The Beer Café Launches ‘URBar’- a Bar on the Cloud! 0 out of 5 based on 0 ratings. 0 user reviews.